Summer is right around the corner and Las Vegas is ready to help you kick off the start of vacation season with a jam packed Memorial Day weekend! If you are flying solo this year, you can mix and mingle with some of the hottest people in Vegas by stopping into a few clubs. For some daytime fun this Memorial Day weekend, the Encore Beach Club offers a truly luxurious setting where you can lounge in the sun or cool off in the water while enjoying the talents of Dillon Francis, Zedd, Kaskade and Avicii. When the sun sets, head over to the Light Nightclub at Mandalay Bay, where music will be provided by DJ Mustard, Clockwork, Alesso and Carl Cox. Have something a little more romantic in mind for Memorial Day this year? Take your special someone to a famous Las Vegas show like The Beatles LOVE. This amazing production blends the well-known and well-loved music of the Beatles with the astounding physical feats of a classic Cirque du Soleil performance. After the show, take your date to the Memorial Day party at Chateau Nightclub and Rooftop at Paris Las Vegas. 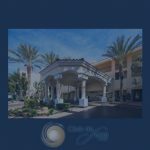 Whether you are strolling under the stars on the rooftop garden, enjoying the dazzling view of Las Vegas Boulevard from the outdoor terrace, or showing off your moves on the dance floor, the Chateau offers you a night of true Parisian romance. While much of the fun in Las Vegasis geared toward adults, there are still plenty of opportunities for family fun as well. The Adventuredome at Circus Circus offers something for everyone, from a 4-D Dora the Explorer adventure to the world’s only indoor double-loop, double-corkscrew roller coaster. Some of the best family fun can be found in the resort. There is something for everyone in Las Vegason Memorial Day weekend, so start packing your suitcases for an unforgettable experience.